Unique Moments Photography from Gig Harbor Washington captured this image during the father daughter dance for this wedding. 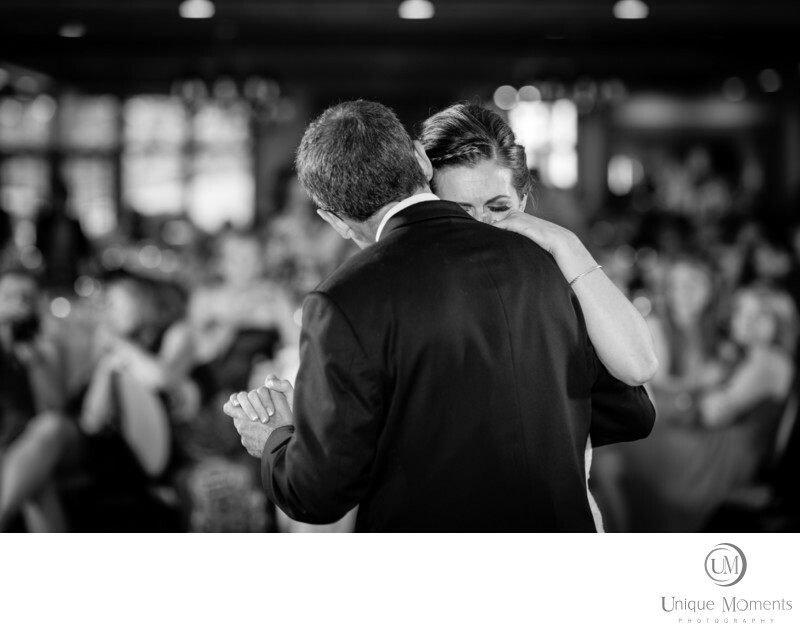 The father daughter dance is typically the most emotional moment opportunity for wedding photographers and it reason #1 why we stay for receptions. These images always pack a lot of power when telling a wedding story. We capture the brides reactions as shown here and you will see the same image with the fathers reactions. Its hard for the dads to do this dance.Its hard for the daughters to do it as well.Its emotional and its one of those rights of passage for families. We are there to tell a story. Nothing tells it better than this close bond between fathers and daughters.